January 7, 2016 Physics colloquium: Stephan Meyer, University of Chicago, "First results from the Fermilab Holometer testing space-time correlations at the Planck scale"
January 15, 2016 Pedro M.P. Raposo, Adler Planetarium, "Astronomy between solemnity and spectacle: the Adler Planetarium and the Chicago world exhibitions of 1893 and 1933-4"
February 3, 2016 Computations in Science Seminar: Carlo Graziani, University of Chicago, "The Biermann Catastrophe in Numerical MHD"
February 11, 2016 Physics colloquium: Daniel Holz, University of Chicago, "Update on LIGO and Gravitational Waves"
February 16, 2016 C2ST Speakeasy: Ritoban Basu Thakur, "Dark Matter -- The Dark Path to our Being"
February 25, 2016 Physics colloquium: Scott Wakely, University of Chicago, "Isotope Hunting at 100,000ft: Tracking Cosmic-Ray Clocks with HELIX"
March 2, 2016 Computations in Science Seminar: Daniel Hooper, Fermilab, "Uncovering the particle nature of dark matter"
March 11, 2016 Anthony Scopatz, University of South Carolina, "Non-judgmental Code-to-Code Comparisons with Gaussian Processes and Dynamic Time Warping"
March 28, 2016 Cafe Scientifique: Erik Shirokoff, "Using nano-scale devices at the South Pole to study the most distant objects in the Universe"
April 9, 2016 UChicago Conference: "Space: Speculation and Exploration"
April 14, 2016 Joshua Frieman in the Deborah Stratman film "The Illinois Parables"
May 5, 2016 Kavli Lecture: Michael Turner, "From The Big Bang To The Multiverse & Beyond"
May 20, 2016 Joan Schmelz, Acting Director of Arecibo Observatory and Director of the Solar Physics Lab at the University of Memphis, "Unconscious Bias in Hiring, Promotions, and Tenure"
June 1, 2016 The Future of Cosmological Physics: Scott Dodelson, "Cosmic Coda"
July 31, 2016 The 2016 Summer Kavli Fulldome Lecture: Michael Turner, "From The Big Bang To The Multiverse And Beyond"
September 26, 2016 EFI colloquium: John Carlstrom, "Cosmic Microwave Background measurements through the Next Decade"
October 24, 2016 2016 Leon Lederman Lecture: Rocky Kolb, "The Mysterious Dark Universe"
October 24, 2016 Cafe Scientifique: Dan Scolnic, "Tension in the Universe: Dark Energy, Dark Matter & Different Numbers"
October 27, 2016 Argonne OutLoud: Clarence Chang, "To the ends of the Earth...and the beginning of the cosmos"
November 3, 2016 Physics colloquium: Elisabeth Krause, Stanford University/SLAC, "Dark Energy Science with the Dark Energy Survey, and Beyond"
Physics colloquium: Stephan Meyer, University of Chicago, "First results from the Fermilab Holometer testing space-time correlations at the Planck scale"
I will describe the first measurement of high-frequency differential arm length fluctuations using the Fermilab Holometer, a pair of co-located 39 m long, high power Michelson interferometers. The instrument obtains differential position sensitivity to cross-correlated signal in a broad frequency band extending above the 3.8 MHz free spectral range of the apparatus. A model of universal exotic spatial shear correlations that matches the Plank scale holographic information bound of space-time position states is excluded to 4.6 sigma significance. 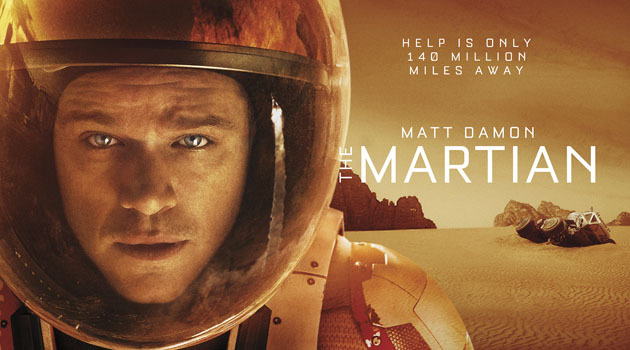 Watch a screening of 'The Martian' and join the discussion afterwards about Mars, icy moons and exoplanets with University of Chicago geophysical and planetary scientists Edwin Kite and Mohit Melwani Daswani moderated by Andy Davis, Chair and Professor of the Department of Geophysical Sciences. Pedro M.P. Raposo, Adler Planetarium, "Astronomy between solemnity and spectacle: the Adler Planetarium and the Chicago world exhibitions of 1893 and 1933-4"
Chicago hosted two epoch-making world exhibitions: the World´s Columbian Exposition of 1893, and the Century of Progress Exposition of 1933-4. Astronomy was well represented at the Columbian Exposition, with an exhibit about the US Naval Observatory, and a significant number of astronomical instruments, photographs, drawings and publications on display at the Manufactures and Liberal Arts Building. But it was even more prominent in the Century of Progress Exposition. The latter opened with a spectacular stunt in which light from the star Arcturus was used to turn on the lights of the exposition. 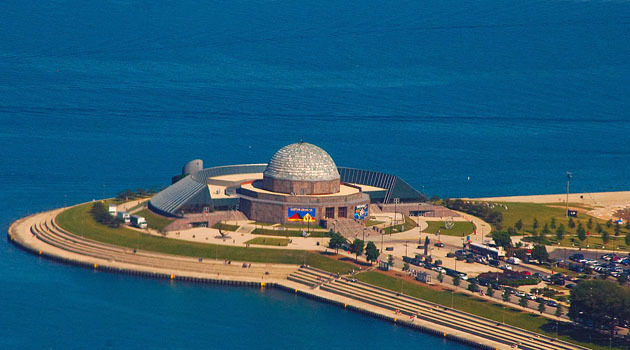 A building named Hall of Science hosted exhibitions covering several branches of scientific knowledge, but astronomy had its focal point in the Adler Planetarium, which had been inaugurated in 1930. Concerned about the new institution becoming a mere venue for scientific entertainment, the founders of the Adler Planetarium had purchased a remarkable collection of antique scientific instruments. By doing so, they hoped that the Planetarium would rank alongside with the leading science museums in Europe. Century of Progress provided an opportunity for the Adler Planetarium to seek an appropriate balance between spectacle and cultural credibility, while affirming itself as a full-fledged astronomy museum. In this paper I will address the ways astronomy was presented in the 1893 and 1933-4 world exhibitions, in order to analyze i) the opportunities and challenges involved in the rise of modern planetaria, and particularly in the establishment of the Adler Planetarium, the first institution of its kind in America; ii) more generally, the role of planetaria and world exhibitions in shaping a public image for astronomy and astrophysics. 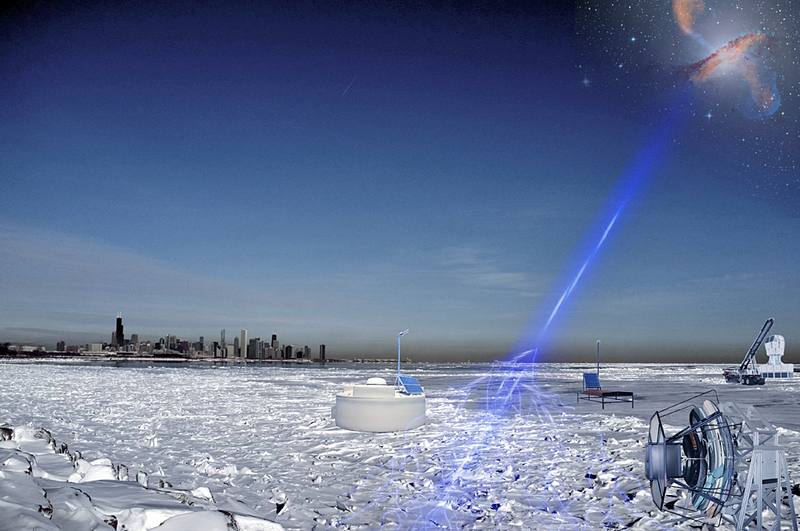 Pedro M. P. Raposo is a curator at Adler Planetarium, Chicago. He holds a doctoral degree in History of Science by the University of Oxford. Prior to his appointment at the Adler Planetarium, Pedro was an education and outreach officer at the Astronomical Observatory of Lisbon; a Magellan Scholar at St. Catherine’s College, Oxford; a research associate of the Oxford Museum of the History of Science; a post-doctoral fellow at the CIUHCT - Inter-University Centre for the History of Science and Technology, Lisbon; an associate lecturer at the University of Lisbon; and a visiting scholar at the Max Planck Institute for the History of Science, Berlin. Pedro’s current research interests include the history of celestial cartography, the history of modern planetaria, and the material culture of timekeeping. Computations in Science Seminar: Carlo Graziani, University of Chicago, "The Biermann Catastrophe in Numerical MHD"
The Biermann Battery effect is frequently invoked in cosmic magnetogenesis and in High-Energy Density laboratory physics experiments. Unfortunately, it has recently been noticed that direct implementations of the Biermann effect in MHD codes produce unphysical magnetic fields at shocks, whose value does not converge with resolution. This convergence breakdown, which has affected all Eulerian and Lagrangian MHD codes implementing the Biermann effect, is due to naive discretization, which fails to account for the fact that discretized irrotational vector fields have spurious solenoidal components that grow without bound near a discontinuity. I show that careful consideration of the kinetics of ion viscous shocks leads to a formulation of the Biermann effect that gives rise to a convergent algorithm. I also note a novel physical effect: a resistive magnetic precursor in which Biermann-generated field in the shock "leaks" resisti! vely upst ream. 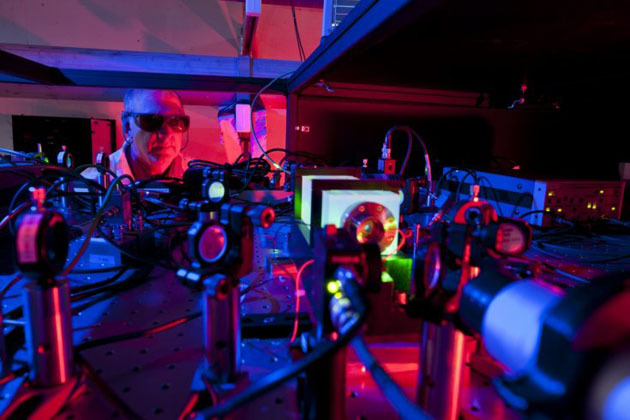 The effect appears to be potentially observable in experiments at laser facilities. This year marks the 100th anniversary of the first publication of Albert Einstein's prediction of the existence of gravitational waves, which are ripples in the fabric of spacetime. 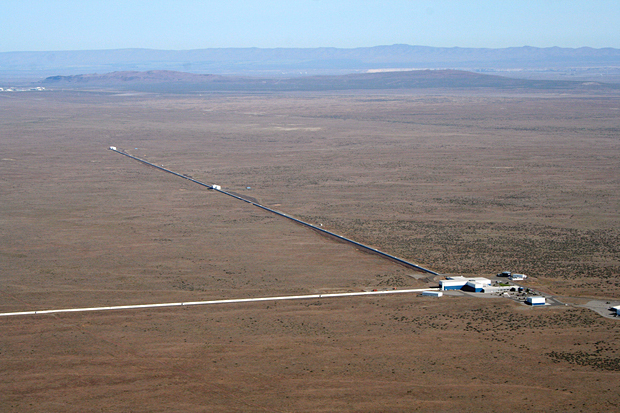 The advanced Laser Interferometer Gravitational-wave Observatory (LIGO) has been designed to search for these waves, and has just finished its first science run. 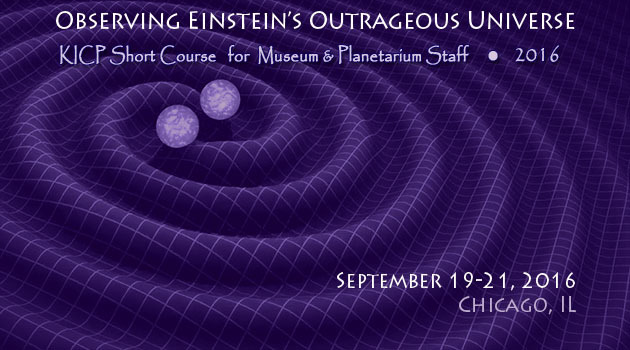 We will be hosting an event to provide an update on efforts to detect gravitational waves. The event will begin with a live stream of a press conference hosted by the National Science Foundation, immediately followed by a Q&A panel led by Associate Professor and LIGO member Daniel Holz and featuring Ben Farr, McCormick Postdoctoral Fellow in the Enrico Fermi Institute; Hsin-Yu Chen, graduate student in the Astronomy & Astrophysics; and Zoheyr Doctor, graduate student in Physics. I hope you are able to join us for coffee and a live stream of a press conference and the discussion. Physics colloquium: Daniel Holz, University of Chicago, "Update on LIGO and Gravitational Waves"
Physics Colloquium at 4 pm February KPTC 106: KICP member Daniel Holz will speak, "Update on LIGO and Gravitational Waves"
This year marks the 100th anniversary of the first publication of Albert Einstein’s prediction of the existence of gravitational waves. 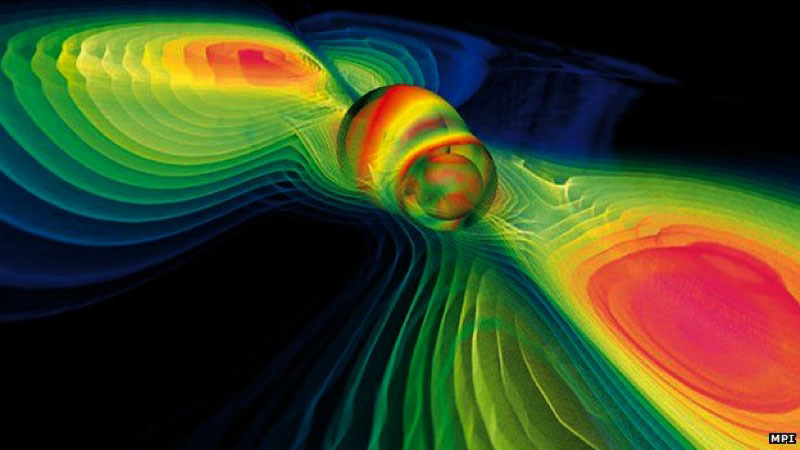 The advanced Laser Interferometer Gravitational-wave Observatory (LIGO) has been designed to search for these waves. We will provide an update. C2ST Speakeasy: Ritoban Basu Thakur, "Dark Matter -- The Dark Path to our Being"
Everything we see today, our precious atoms and molecules, got here by traveling on swaths dark matter. From the oscillations of the hot plasma of the primordial universe, to the formation and dynamics of modern galaxies, dark matter plays a necessary role. The very construct in which we sit is defined by its abundance. Our universe’s evolution is controlled tightly by a cosmic tug-of-war between dark matter and dark energy. Thus understanding dark matter is not only important to explain the past and the present, but also the future trajectory of our universe. It has been over 80 years since its discovery, and we have yet to “see” dark matter directly. This talk will discuss how we came to know about dark matter and the multitude of concordant observations. Next, we will discuss our best ideas regarding the nature of dark matter and detection strategies being pursued world-wide. Dr. Ritoban Basu Thakur is an experimental cosmologist at the Kavli Institute for Cosmological Physics (KICP), at the University of Chicago. 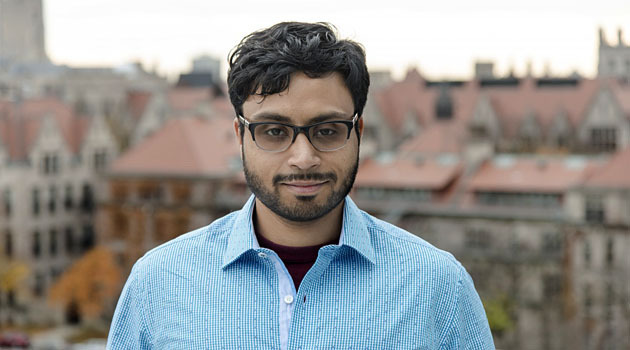 His research focuses on understanding early universe physics by precise measurements of the cosmic microwave background, and progressing experimental techniques toward terrestrial detection of dark matter. To this end, he is developing novel detectors and analyzing observational data collected via these detectors. Dr. Basu Thakur obtained his PhD in Physics from the University of Illinois at Urbana Champaign. The crux of his PhD research, on dark matter, was carried out at the Fermilab Center for Particle Atrophysics. He was URA fellow and graduate student association officer at Fermilab. He got his B.S. in Physics, and graduated Phi Beta Kappa (liberal arts and sciences) from Dickinson College. The Kavli Institute for Cosmological Physics (KICP) at the University of Chicago is hosting a workshop "Cosmology Using Low Resolution Spectroscopy in the 2020s" on February 16-17, 2016. The goal of this workshop is to evaluate the cosmological impact of future wide field low-resolution spectroscopic surveys. All of the top surveys will be represented, and the many cosmological studies that these surveys will allow will be discussed. Elise Jennings, "Disentangling redshift-space distortions & nonlinear bias"
Faustin Carter, "Resonators, Transmission lines, and the South Pole Telescope 3G Upgrade"
Austin Joyce, "Gravity from the bottom up"
Vinu Vikram, "A Measurement of the Galaxy Group-Thermal Sunyaev-Zeldovich Effect Cross-Correlation Function"
Nan Li, "Applications of the Simulations of Gravitational Lensing in Cosmology"
Toshihiro Fujii, "UHECR Astrophysics: Present and Perspectives"
The Kavli Institute for Cosmological Physics (KICP) at the University of Chicago is hosting a workshop this winter on the Next-Generation Techniques for Ultra-High Energy (UHE) Astroparticle Physics. The origin of the most energetic particles in the universe could be related to extremely energetic astronomical phenomena or other exotic processes, such as the decay of the super-heavy dark matter in the halo of our galaxy or topological defects created in an early phase of the development of the universe. In order to clarify their origin, it is essential to develop next-generation techniques for detection of their particles by large amounts of statistics. The workshop will address the road map and near-future prospects of cosmic rays and neutrinos above the PeV scale. Included topics are reviews of the latest results, upcoming detectors and techniques, and related theory topics. The anticipated structure is a series of presentations with ample time for discussion and working sessions. Computations in Science Seminar: Daniel Hooper, Fermilab, "Uncovering the particle nature of dark matter"
A wide range of observations support the conclusion that most of the matter in our universe is not made of protons, neutrons, or electrons, but of some other substance or substances that do not interact electromagnetically or through the strong nuclear force. For a lack of a better name, we simply call this stuff "dark matter". I'll discuss some of our best hypotheses for what dark matter might be made of, and the experimental program designed to test this list of possibilities. I'll focus in particular on searches for dark matter annihilation products using gamma-ray telescope, which may have already seen the first evidence of particle dark matter interactions. Anthony Scopatz, University of South Carolina, "Non-judgmental Code-to-Code Comparisons with Gaussian Processes and Dynamic Time Warping"
This talk presents a non-judgmental analysis methodology that couples Gaussian process regression, a popular technique in Machine Learning, to dynamic time warping, a mechanism widely used in speech recognition. This method is intended to be used for code-to-code comparisons and benchmark studies for which no 'true' validation data exists or when validated data is sparse. Predictive climate models and the nuclear fuel cycle are both examples of where this method may be useful. Together Gaussian processes and dynamic time warping generate figures-of-merit for a suite of simulator results or derived metrics. These figures-of-merit have the advantage that they reduce the dimensionality of comparison to a scalar. The figures-of-merit account for uncertainty in the metric itself, utilize information across the input parameter domain, and do not require that the simulators use a common grid for the independent variables. This talk defines a distance measure that can be used to compare the performance of each simulator for a given metric. Additionally, a contribution measure is derived from the distance measure that can be used to rank order the impact of different partitions for a total metric. This talk also warns against using standard signal processing techniques for error reduction, as error reduction is better handled by the Gaussian process regression itself. This talk will walk through a representative code-to-code comparison for nuclear fuel cycle time series obtained via the DYMOND and Cyclus simulators. Additionally, potential modifications of the method for spatial warping will also be presented. 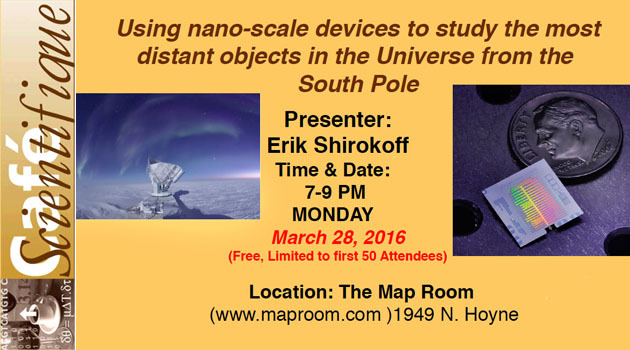 Cafe Scientifique: Erik Shirokoff, "Using nano-scale devices at the South Pole to study the most distant objects in the Universe"
Some of the most distant objects in the Universe can only be studied with submillimeter wavelength instruments. These ancient objects include the cosmic microwave background - relic radiation left over from the the Big Bang - and the galaxies that hosted the first generation of stars. To see these distant signals we employ microscopic superconducting devices operating a fraction of a degree above absolute zero. And to see through the earth's atmosphere, we operate telescopes in some the most remote locations on Earth, including the South Pole and the Atacama Desert. We will talk about the instruments, the remote observatories we're building, and what we hope to reveal with them. I joined Citadel as a quantitative researcher in 2013 after completing a Hubble Fellowship. Citadel is a Chicago-based global financial institution offering asset management, retail execution/market making and trading technologies. Quantitative researchers (or "quants") are responsible for developing, testing and maintaining sophisticated, automated trading models. I will give a candid overview of this sector, giving my personal experience and offering advice for a similar transition. UChicago Conference: "Space: Speculation and Exploration"
The University of Chicago's Conference titled "Space: Speculation and Exploration" is a day long event, hosting speakers from across the country. 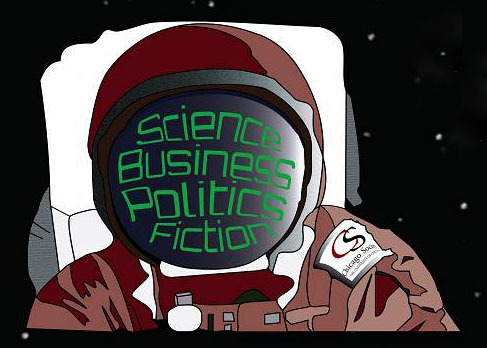 The conference aims to inspire public fascination and contemplation of the universe by connecting renowned professors and experts on space from various fields of science, economics, politics, and fiction with University of Chicago students and community members. Joshua Frieman in the Deborah Stratman film "The Illinois Parables"
More than 21 centuries ago, Greek scientists created a mechanism that used brass gearwheels to predict the movements of the sun, the moon, and probably most of the planets, essentially inventing the world's first computer. Found by Greek sponge divers in an ancient shipwreck, its corroded remnants, now known as the Antikythera Mechanism give us fresh insights into history and challenge our assumptions about technology transfer over the ages. Dr. John Seiradakis, Radio Astronomer and Physics Professor at the Aristotle University of Thessaloniki, Greece, will discuss the work of an international team of experts who used 21st century technology to decode the truth behind the world's first computer. 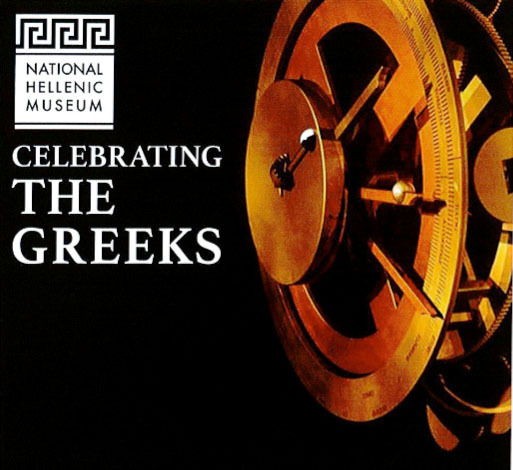 This program will also feature the artwork of two local artists inspired by the Antikythera Mechanism: Terry Poulos and Keith Skogstrom. Join us for a volunteer training session where you will learn about the Astronomy Conversations Program, the Adler Space Visualization Lab and science communication techniques. 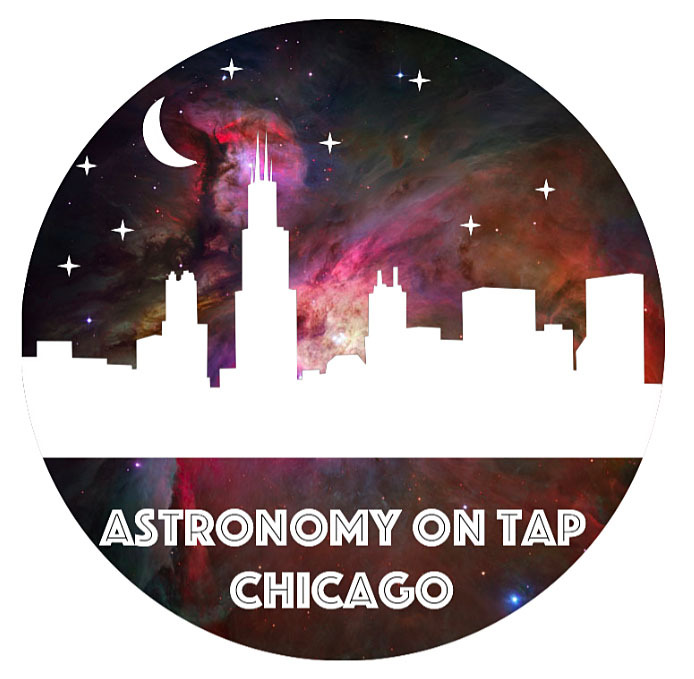 This Monday, April 18, is the inaugural Chicago Astronomy on Tap! For those who are unfamiliar with the concept, Astronomy on Tap is a public outreach initiative at bars across 10 US cities (and Santiago, Chile) that involves informal astronomy talks and astronomy trivia (and beer!). This event will be held at The Map Room (off the blue line, 1949 N. Hoyne) at 7 pm, and Laura will be giving a talk on 'Prospects for Detecting Alien Life in the Next Decade.' We hope to see you there! Presenters: Karen Kolb Flude, Daniel Grin. 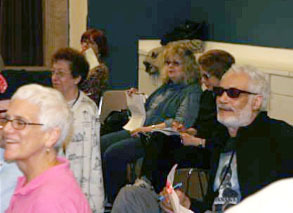 Beginning in 2013, the KICP has developed an astrophysics outreach effort to older adults (formerly known as senior citizens). 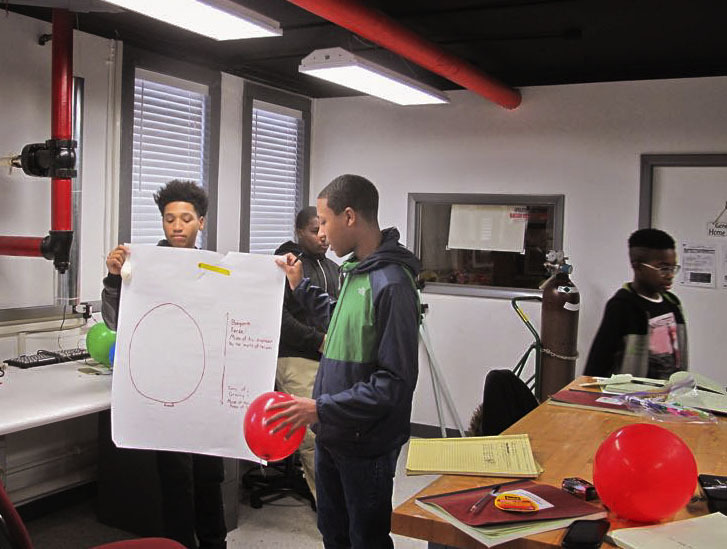 This program has brought fundamental and cutting-edge content in astronomy to older adults at Chicago senior centers, retirement homes, and public libraries. The material has been presented by graduate students, postdocs, and faculty at the KICP, the University of Chicago's Astronomy/Astrophysics Department, Physics Department, and even broader pool including biologists at the UofC, as well as scientists at FermiLab, the Adler Planetarium, and the Field Museum. After briefly introducing the program, we'll cover how to effectively reach out to this audience. This event is a perfect entry point to participate in the program! After a ~1 hour presentation, participants will have an opportunity to present slides for critique and improvement, and discuss the program more informally. 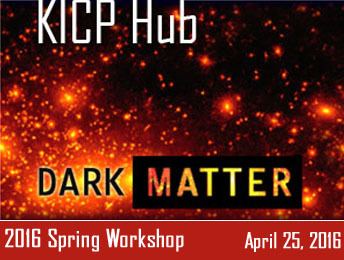 We are hosting our spring KICP dark matter hub meeting on April 25. We will start at 10:30 am and end 2:30 pm (Note that we are starting later than the previous meetings). It will be held in Room 401, Eckhardt Research Center building. We will have box lunches for the participants. This hub meeting will focus on direct detection. After the talks, we will have a discussion at the end on possible new directions to pursue and cooperate. 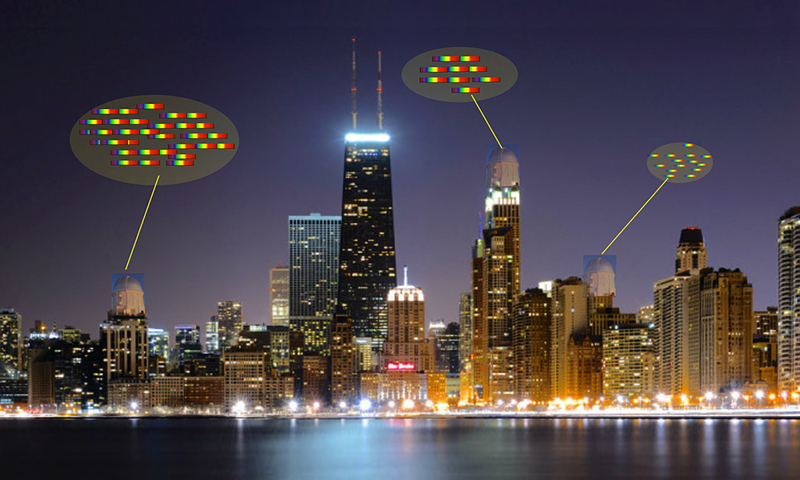 The Kavli Institute for Cosmological Physics (KICP) at the University of Chicago is hosting a workshop on the Photometric Classification of SNIA on April 28-29, 2016. 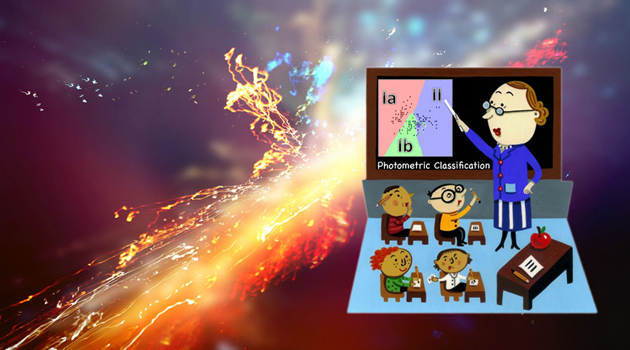 This workshop will focus on Photometric classification methods and validation techniques for large SNIA data samples. The emphasis will be on defining samples that can be used to measure cosmological parameters, rate vs redshift, and SN-host correlations. Kavli Lecture: Michael Turner, "From The Big Bang To The Multiverse & Beyond"
The Kavli Foundation fulldome lecture will be streamed live at fourteen other institutions including the American Museum of Natural History (NY, NY), the Denver Museum of Nature and Science and the Pacific Science Center (Seattle, WA). This dome-cast will allow audiences across the country to immerse themselves in the presentation in real time and ask questions. Is our Universe part of a larger multiverse? What is speeding up the expansion of the Universe? These are the mysteries that inspire cosmologists today. 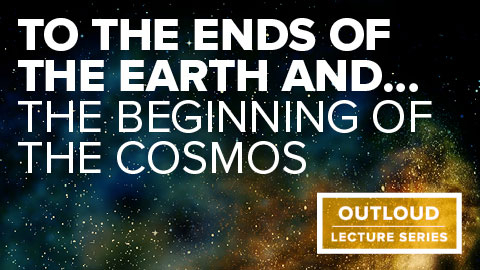 In a dazzling, fulldome presentation, this presentation will illustrate what we know and how we know it, as well as the big ideas and puzzles of cosmology today. On May 5, the University of Chicago's Michael Turner will explore some of the biggest mysteries in modern cosmology. 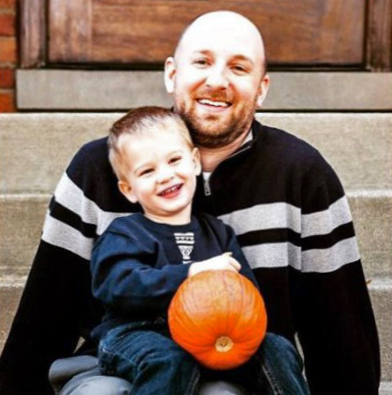 Michael S. Turner is a theoretical astrophysicist and the Bruce V. and Diana M. Rauner Distinguished Service Professor at the University of Chicago. He is also Director of the Kavli Institute for Cosmological Physics at Chicago. Turner helped to pioneer the interdisciplinary field of particle astrophysics and cosmology, and has made seminal contributions to the current cosmological paradigm known as "LambdaCDM", including the prediction of cosmic acceleration. His current research interests are dark matter, dark energy and inflation. 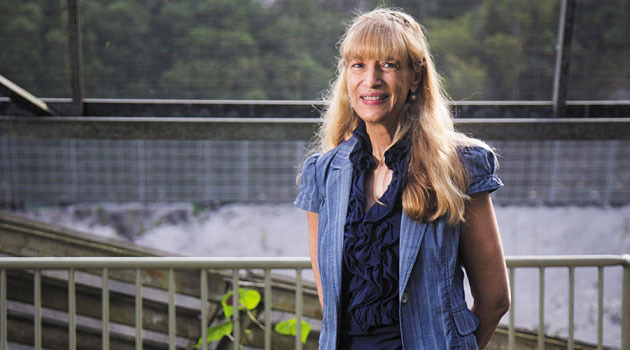 Turner has won numerous prizes and is a member of the National Academy of Sciences. The Kavli Fulldome Lecture series takes audiences on a journey to the very edges of human knowledge. Adler experts and leading scientists work together to create dazzling, animated images of real data, which are projected onto the planetarium dome during the lectures. Audiences don't have to imagine what an equation might tell us about the Universe’s distant past, they can travel back in time and see it with their own eyes. Joshua Sobrin - "SPT-3G: An Optimized Cosmic Microwave Background Receiver for the South Pole Telescope"
Brittany Kamai - "Employing the Holometer as a Gravitational wave detector"
Philip Mansfield - "How to reduce the size of particle catalogs by an order of magnitude"
Evan Shockley - "Calibrating the response of liquid xenon to low energy nuclear recoils"
Zhaodi Pan - "SPT3G detectors: design, fabrication, and characterization"
Hsin-Yu Chen - "Optimizing the use of 3D information for Electromagnetic Follow-up of Advanced LIGO-Virgo Events"
After completing my PhD at George Mason University studying exoplanets, I joined the staff of Astronomy in December 2014. Astronomy is the largest general level magazine of its type, serving fans of both the science and hobby sides of the field. As an editor, I work closely with scientists and science writers to make stories ready for publication, write for print and the web, and manage large tracts of our website. I will talk about my experiences in the field, and address specifically the transition from scientist to science communicator. The AAAS 2016 Distinguished Morton L. Mandel Annual Public Lecture, which will be livestreamed in the Astro Lounge on Thurs. May 19 at 5 pm. "The Comprehensive Nuclear-Test-Ban Treaty at 20: Prospects for Ratification and the Enduring Risks of Nuclear Testing"
Twenty years after the signing of the Comprehensive Nuclear-Test-Ban Treaty (ctbt) and creation of its accompanying organization, the Comprehensive Nuclear-Test-Ban Treaty Organization (ctbto), the ctbt remains extremely relevant in the context of nuclear proliferation, deterrence, testing, and more. Yet challenges also remain that impede the ratification of the treaty and its entry into force. 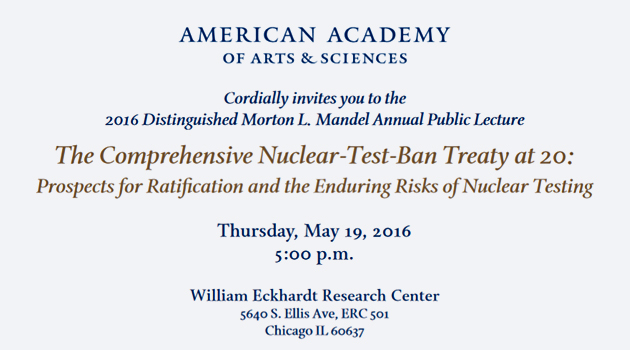 On Thursday, May 19, 2016, the American Academy invites you to participate in a discussion on nuclear testing and the prospects of the ratification of the Comprehensive Nuclear-Test-Ban Treaty. Participants at the University of Chicago will watch a livestream of a panel discussion held at the American Academy's headquarters in Cambridge, MA, featuring the speakers listed below. 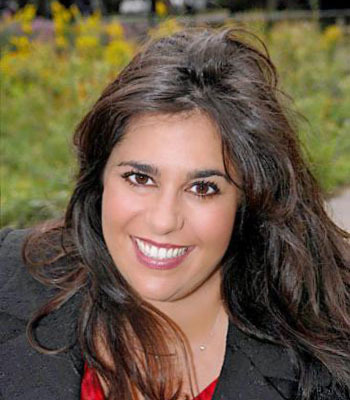 Following the panel discussion, Rachel Bronson will moderate a dynamic discussion at the University of Chicago. Joan Schmelz, Acting Director of Arecibo Observatory and Director of the Solar Physics Lab at the University of Memphis, "Unconscious Bias in Hiring, Promotions, and Tenure"
We all have biases, and we are (for the most part) unaware of them. Unconscious bias is NOT prejudice. In fact, men and women both unconsciously devalue the contributions of women. This can have a detrimental effect on grant proposals, job applications, and performance reviews. For example, when evaluating identical application packages, male and female university psychology professors preferred 2:1 to hire "Brian" over "Karen" as an assistant professor. When evaluating a more experienced record, at the point of promotion to tenure, reservations were expressed four times more often about "Karen" than about "Brian." This unconscious bias has a repeated negative effect on "Karen's" career. In this talk, I will introduce the concept of unconscious bias, review the studies that uncovered it, and give recommendations on how to address it. The process of eliminating unconscious bias begins with awareness, then moves to policy and practice, and ends with accountability. Christopher Sheehy - "Delensing BICEP/Keck data with SPTpol and CIB"
Ben Farr - "Characterization of GW transients in Advanced LIGO"
Jason Henning - "CMB Polarization from the 500 Square-Degree SPTpol Survey"
Richard Saldanha - "XENON1T: Status, Prospects, and Calibration"
The Future of Cosmological Physics: Scott Dodelson, "Cosmic Coda"
Chicago scientists brought together the fields of particle physics and cosmology. This merger of the very big and the very small now underpins both disciplines. 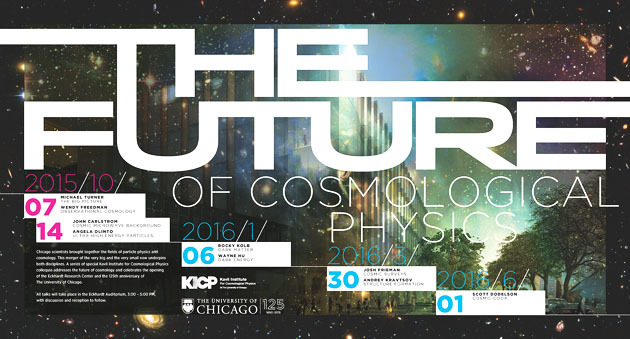 A series of special Kavli Institute for Cosmological Physics colloquia addresses the future of cosmology and celebrates the opening of the Eckhardt Center and the 125th anniversary of the University of Chicago. All talks will take place in the Eckhardt Auditorium, 3-5PM, with discussion and reception to follow. Michael Turner, "The Big Picture"
John Carlstrom, "Cosmic Microwave Background"
Angela Olinto, "Ultra-High Energy Particles"
The 2016 Summer Kavli Fulldome Lecture: Michael Turner, "From The Big Bang To The Multiverse And Beyond"
Is our Universe part of a larger multiverse? What is speeding up the expansion of the Universe? Theoretical astrophysicist Michael Turner has devoted his life and research to the pursuit of the answers to these questions. On July 31, the esteemed University of Chicago Professor will return to the Adler Planetarium for a reprise of the lecture that he delivered to a sold-out crowd on May 5. In a dazzling, fulldome presentation custom-made by the Adler's Space Visualization Lab, this presentation will illustrate what we know and how we know it, as well as the big ideas and puzzles of cosmology today. 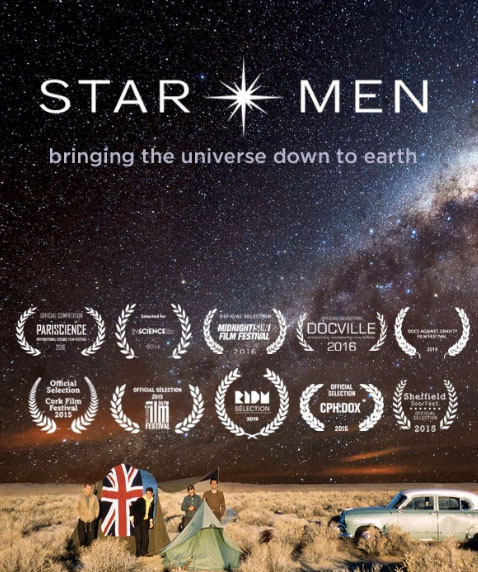 As an important feature of the Kavli Fulldome Lecture Series, Turner's presentation will be live domecasted from the Adler to other planetaria around the country and the world. Stay tuned as locations are added. The Kavli Fulldome Lecture series takes audiences on a journey to the very edges of human knowledge. 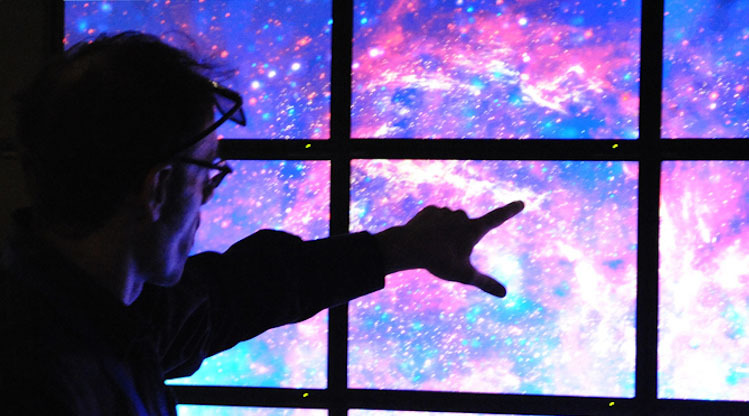 Adler experts and leading scientists work together to create dazzling, animated images of real data, which are projected onto the planetarium dome during the lectures. Audiences don’t have to imagine what an equation might tell us about the Universe's distant past, they can travel back in time and see it with their own eyes. 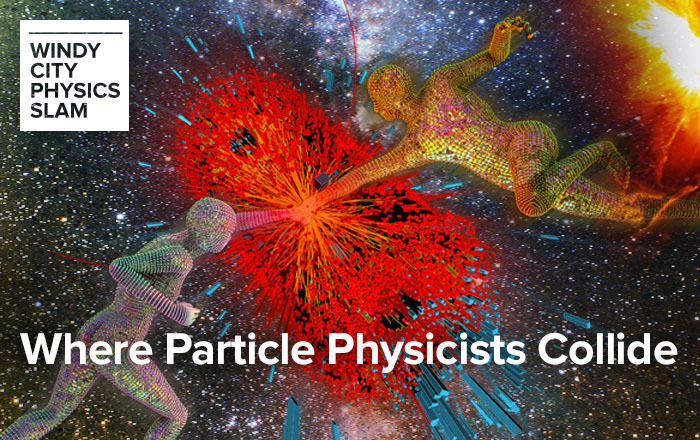 Come see five particle physicists from around the world put on a show about the mysteries of the universe. In a high-energy competition, they'll share the mysteries of dark matter and dark energy, shine a light on ghostly neutrinos, and uncover the very structure of the universe. Renee Hlozek, "The Death of the Universe: A Musical"
Dan Hooper, "Hunting for Dark Matter: The 'Soul' of the Universe"
Chris Marshall, "'MC Truth' Raps About Neutrinos"
Clara Nellist, "Picturing Particles: From Bubbles to Bosons"
A century ago Einstein put forth his theory of gravity. For the first 50 years it was an exotic theory with many untestable predictions thought to be irrelevant to our Universe. Beginning 50 years ago with the discovery of quasars and the cosmic microwave background (CMB), it has become clear that we live in Einstein’s Universe where the extraordinary is now the ordinary and his theory is in full bloom. To study the Universe today you have to understand the cosmic implications of Einstein's theory. We will focus on observable aspects of some of the most outrageous and compelling predictions of general relativity. These predictions include black holes, gravitational waves, gravitational lensing, and the Big Bang. We will explore the recent detection of gravitational waves from the merger of black holes 30 times the mass of our Sun, the spectacular fireworks associated with the death of stars and the formation of neutron stars and black holes, precise measurements of properties of the supermassive black hole at the center of our galaxy, the bending of light due to the gravity of clusters of galaxies, and how we learn about the origin of space, time, and the earliest moments of the Universe. and KICP associate director John Carlstrom. EFI colloquium: John Carlstrom, "Cosmic Microwave Background measurements through the Next Decade"
We will review the current status of cosmic microwave background (CMB) measurements and the planning for the experimental program for the next decade. 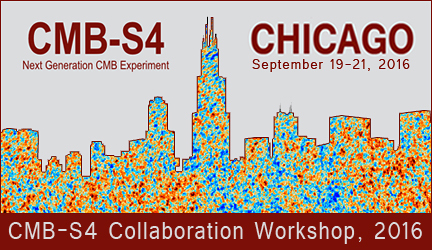 The talk will focus on the science case and the path forward for the stage 4 ground - based experimental program, CMB - S4, as recommended by P5. The upcoming extremely sensitive CMB measurements will allow us to stringently test the cosmological model and investigate extensions to it. We will be searching for inflationary gravitational waves and rigorously testing single field slow roll inflation, determining the neutrino mass scale, searching for new relic particles, mapping the universe in momentum, investigating dark energy, testing general relativity and more. 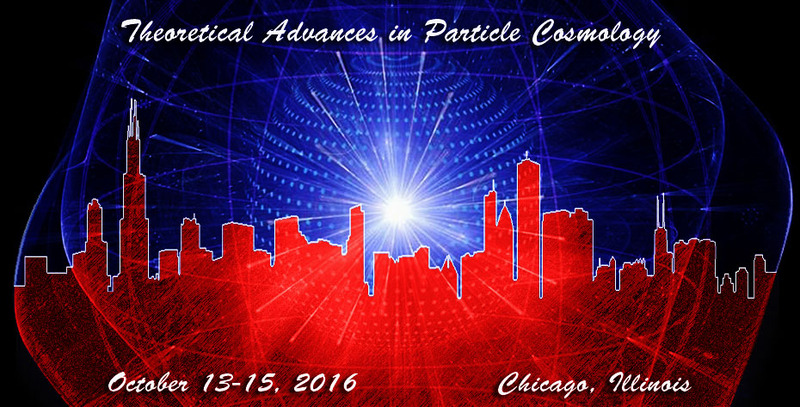 Kavli Institute for Cosmological Physics (KICP) is hosting a workshop "Theoretical Advances in Particle Cosmology" this fall on the University of Chicago campus. The workshop will bring together theorists with common interests in early universe cosmology and high energy particle physics. 2016 Leon Lederman Lecture: Rocky Kolb, "The Mysterious Dark Universe"
Edward W. "Rocky" Kolb of the University of Chicago will give the 2016 Leon Lederman Lecture in Physics on Monday, October 24 from 3:30-5 p.m. in the Robert A. Pritzker Science Center, Room 111. 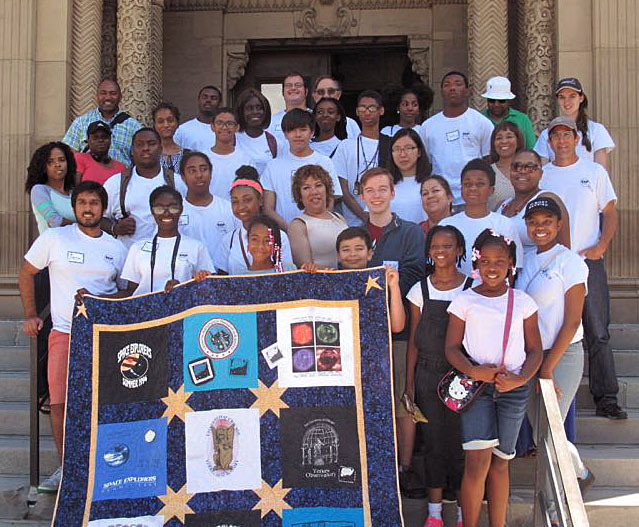 Kolb is the Arthur Holly Compton Distinguished Service Professor of Astronomy & Astrophysics at Chicago. The eminent cosmologist studies the application of elementary particle physics to the very early universe. In his lecture "The Mysterious Dark Universe," he will explore how the answer to the question of what the universe is made of is not simple. Astronomical observations tell us that 95 percent of the universe is missing. Most of the mass of the universe is in a mysterious form known as dark matter, and most of the energy in the universe is in an even more mysterious form known as dark energy. Dark matter and dark energy will determine the ultimate fate of our universe, Kolb says; understanding the nature of the dark universe is the biggest challenge facing cosmology today. 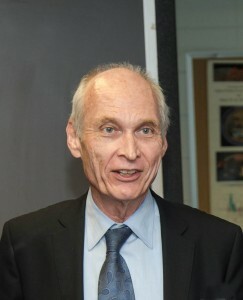 Kolb is a member of the Enrico Fermi Institute and the Kavli Institute for Cosmological Physics at Chicago, as well as dean of physical sciences. 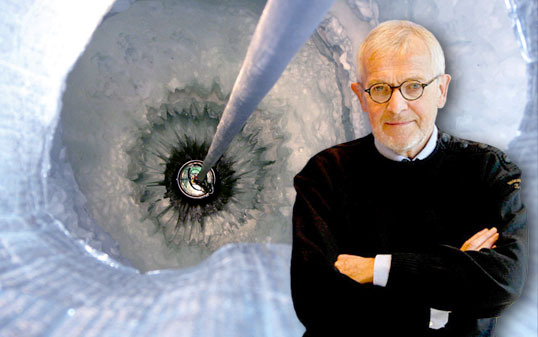 In 1983, he helped to found the Theoretical Astrophysics Group and in 2004 was the founding director of the Particle Astrophysics Center at Fermi National Accelerator Laboratory. He is a fellow of the American Academy of Arts and Sciences and the American Physical Society, among many other awards and honors. In addition to over 200 scientific papers, he is a co-author of The Early Universe, the standard textbook on particle physics and cosmology. Read more. 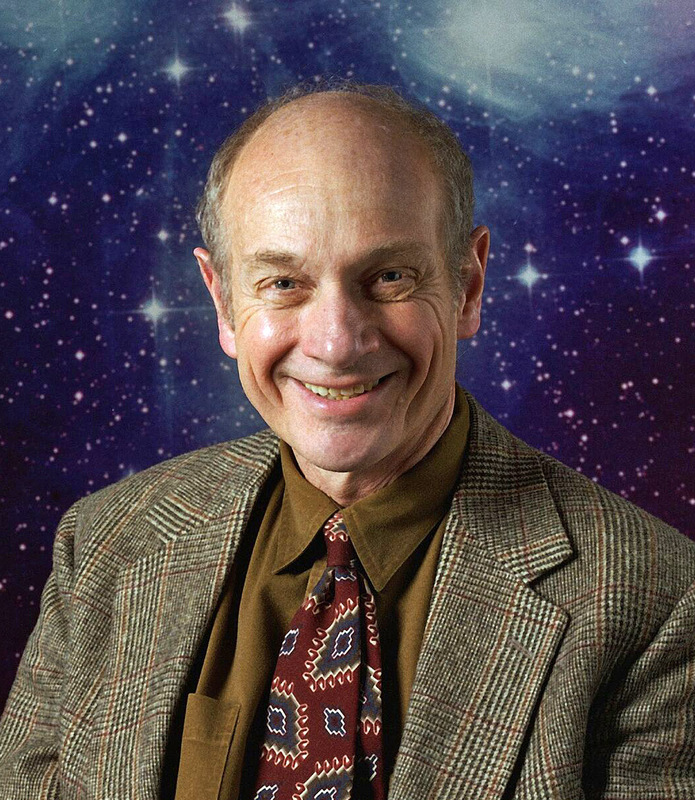 "Rocky Kolb is an excellent and accomplished astro-particle physicist with an outstanding ability to make complex concepts understandable to the public,� said Grant Bunker, chair and professor of physics. The lecture is sponsored by the Department of Physics and honors physicist Leon Lederman, who won the Nobel Prize in Physics in 1988 with Melvin Schwartz and Jack Steinberger and was the Pritzker Professor of Physics at Illinois Tech from 1992-2012. Members of the physics faculty and others have pledged money to permanently endow the Lederman lecture. Cafe Scientifique: Dan Scolnic, "Tension in the Universe: Dark Energy, Dark Matter & Different Numbers"
As we transition from summer into fall, I am happy to announce our autumn cafe scientifique and an astronomy related movie screening. In conjunction with the KICP Life Long Learning program, we are hosting a training session focused on working with older adults. Gerontologist Karen Kolb will conduct a workshop that will explore demographic trends, the physiology and psychology of aging, and practical considerations for presenting to older adults. Argonne OutLoud: Clarence Chang, "To the ends of the Earth...and the beginning of the cosmos"
The depths of the cosmos can only be matched by the innumerable questions we have about it. Scientists have attempted for hundreds of years to gain a clear picture of how the universe was formed. Our current understanding of it is the best so far, but there is still so much more to know. But just how do researchers study the beginning the universe? Physicist Clarence Chang (Argonne National Laboratory and Kavli Institute for Cosmological Physics at the University of Chicago) collaborates with a group of researchers using the South Pole Telescope, which is equipped with a unique Argonne-made sensor technology to measure and characterize thermal radiation signatures generated billions of years ago. He will also provide highlights of his research travels to the Antarctica and the South Pole. 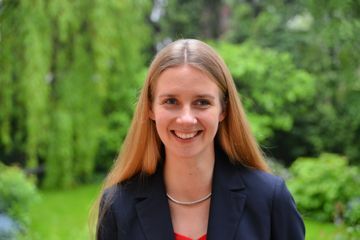 Physics colloquium: Elisabeth Krause, Stanford University/SLAC, "Dark Energy Science with the Dark Energy Survey, and Beyond"
The accelerated expansion of the Universe is the most surprising cosmological discovery in decades. It has inspired a new generation ambitious surveys to determine the fundamental nature of this acceleration - whether it is caused by a breakdown of general relativity, or by an exotic new form of energy, termed dark energy, that acts repulsively within general relativity. I will introduce the different measurement techniques used by these surveys, and describe the landscape of current and near future cosmological sky surveys, highlighting early results from the ongoing Dark Energy Survey. The unprecedented data quality and data volume of future surveys will require a new generation of analysis frameworks, and I will conclude by outlining some of the statistical and computational challenges for the interpretation of these data sets. Ian Wisher, "The HELIX Detector"
Sebastian Bocquet, "Galaxy Cluster Cosmology with the South Pole Telescope: On multi-wavelength mass calibration"
Marco Raveri, "The Effective Field Theory approach to gravitation on cosmological scales"
Yuanyuan Zhang, "From galaxy evolution to cosmology: a couple of topics on galaxy cluster science with the Dark Energy Survey"